Looks like some good games tonight. Mississippi State at Alabama. South Carolina at Florida. Oregon at California. Oklahoma State at Texas. USC at Arizona. Texas A&M at Baylor. 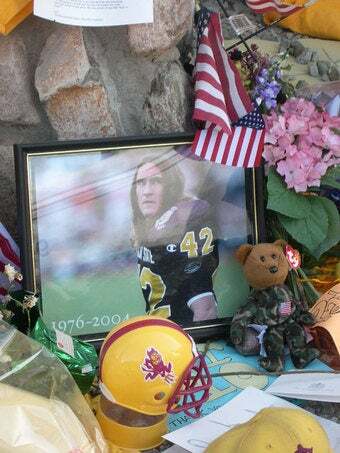 Plus, there's a National Football Foundation & College Hall of Fame ceremony for Pat Tillman before Stanford/Arizona State. And I'm not one for American hero deification or anything, but if Tillman isn't one, they don't exist. Sickens me to think about the cover-up/whitewashing of his murder. Sorry. Y'all can have the soapbox back now.